Man, it's been quiet around here lately. I've missed you. I've missed this blog. 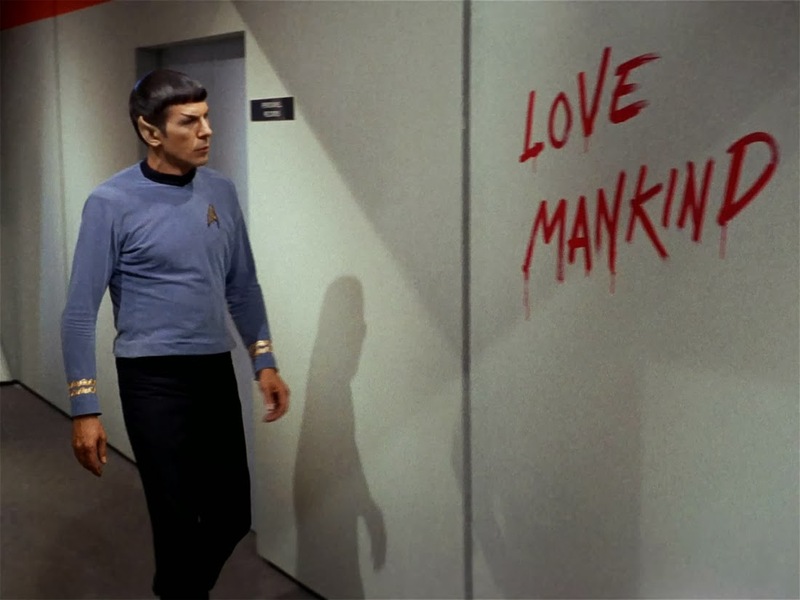 And, as I realized recently, I've really really missed Star Trek. I (stupidly) anticipated a lot of free time once the new year began but it's been quite the opposite. Basically, while I finished the year, I put off every single other thing that I ought to have been doing. I wasn't writing. I wasn't responding to emails. I wasn't working on art. I wasn't watching any other TV. I was pretty much just watching Star Trek and writing about it. And it was intense. After a few days, I finally eased back into regular life. Then, on Monday, Scott got up much earlier than I did and ended up wandering off to take a nap. As soon as the door shut behind him you know what I did? I fired up the Netflix. I didn't watch any of the shows I'd been backlisting. I didn't watch any of my old favorite Netflix standbys. I didn't put in any one of the stack of DVDs sitting out because I want to watch them. I turned on Star Trek: The Original Series. I scrolled through the episodes and let it land on a random title. The Naked Time. Yesterday, Scott went off to get some work done. I fired up Netflix. This afternoon, Scott sat at his desk with his headphones on and suddenly I found myself sneaking Star Trek on my laptop instead of the TV. Ok, I wasn't really sneaking Star Trek. And, obviously, my husband loves Star Trek but 2013 was my year of Star Trek. And, as much as he loves the show, he was along for the ride while I was driving like a madman and, often, he had no choice but to binge watch six episodes of Voyager while I got caught up. I want him to be able to watch whatever he wants to watch but, every time I turn on the TV, I find myself missing Trek. It has become my comfort food. My softest blanket. My hot cup of tea. My favorite song. It's such a huge part of my life now that I can't go more than four or five days without it. 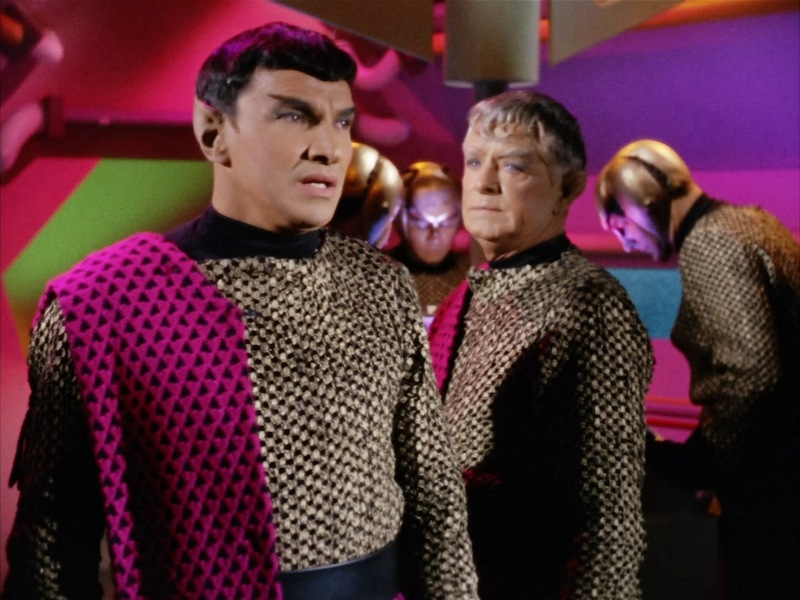 Right now, I'm watching the TOS crew engage with a group of nasty Romulans in Balance of Terror. And, it is glorious. I stumbled across your site and wow, you have rekindled my love for Star Trek. Thank you. Nothing wrong w/watching Trek from time to time. Too hard to go cold turkey.